This Islamic guide is for non-Muslims who would like to understand Islam, Muslims (Moslems), and the Holy Quran (Koran). It is rich in information, references, bibliography, and illustrations. It has been reviewed and edited by many professors and well-educated people. It is brief and simple to read, yet contains much scientific knowledge. 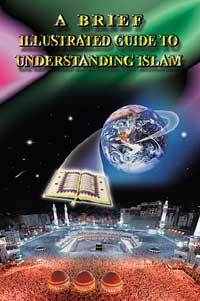 It contains the whole book, A Brief Illustrated Guide to Understanding Islam, and more. The contents of this guide follow. Note: It is more beneficial to go through this web site in the order presented by clicking on the Next link at the bottom of each page. It is a web site for people of various faiths who seek to understand Islam and Muslims. It contains a lot of brief, yet informative articles about different aspects of Islam. New articles and videos are added every week. It also features Live Help thru 1-to-1 chat, especially for those who are interested in converting to Islam.